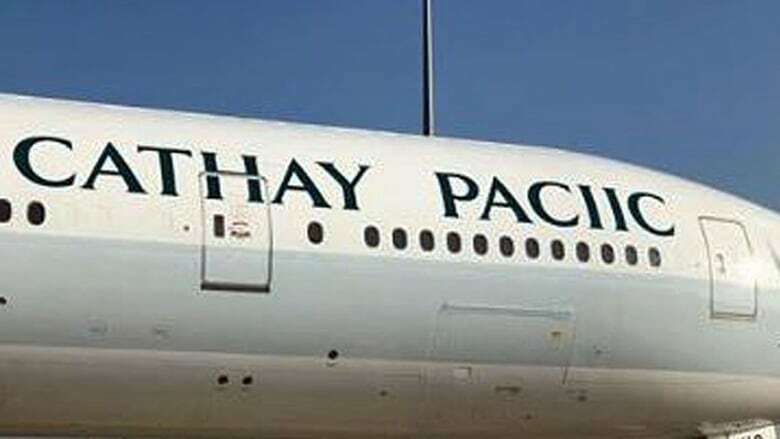 Pictures of a giant typo on a Cathay Pacific jet in Hong Kong have been making the rounds online, but the company is keeping its sense of humour. The images, which were first circulated among a group of Hong Kong aviation enthusiasts, show one of the airline's planes on the ground at Hong Kong's airport with the words "Cathay Paciic" written on the side. The airline confirmed the error on its Twitter account, and poked a bit of fun at itself in the process. While the company claimed it was an honest mistake, an engineer for aircraft management firm Haeco told the South China Morning Post he suspected the company may have intentionally made the mistake to get a little publicity, since it would be an extremely difficult thing to happen by accident and it would cost hundreds of thousands of dollars to fix. "The spacing is too on-point for a mishap," the engineer told the newspaper. "We have stencils. Should be a blank gap in-between letters if it was a real mistake, I think," the engineer said.